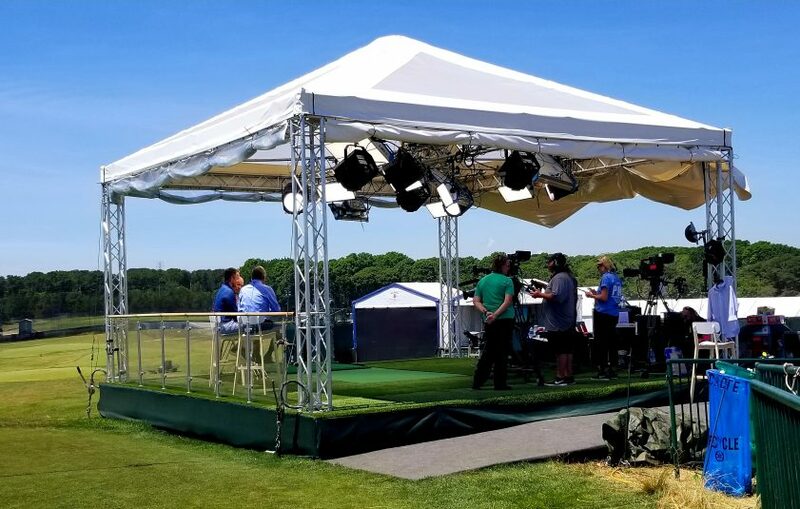 Sky Sports UK’s Open Zone, a range-side studio that has some unique elements, is the center of the action for the channel at the 2018 U.S. Open. Not only has Sky Sports decided to host all of its studio shows from the Open Zone, but the Zen Green made its U.S. Open debut (it was launched at the Open Championship at Royal Birkdale last summer). Sky’s Open Zone at the U.S. Open was at the center of all of its studio operations. The Zen Green is a putting green that can rise and fall to simulate uphill, downhill, and even sidehill putts. It’s another tool in the analysts’ arsenal, allowing them to offer more insight into what the players are dealing with on the course. The decision to move the studio show to the Open Zone is already paying off. Not only has it saved on costs, but feedback from viewers is good. Tim Brown, director, Sky Sports, notes that, although it gets away from the classic studio shot with a clubhouse or 18th hole as a backdrop, the reaction from viewers is positive. 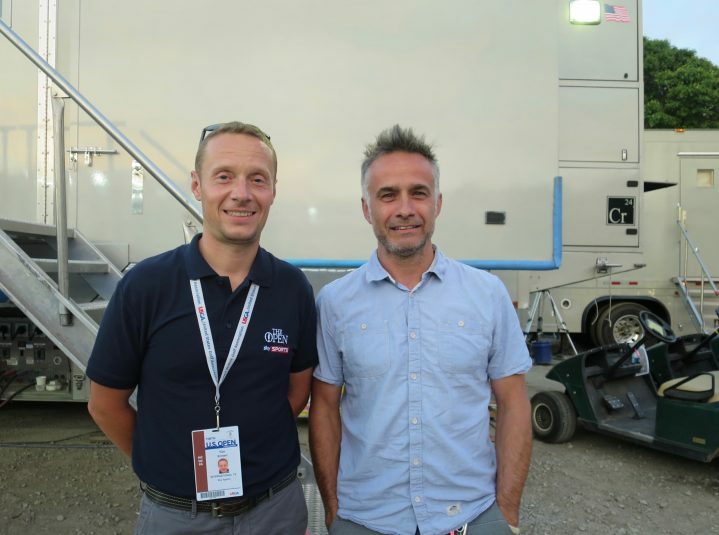 Tim Brown (left) and George Jeffery of Sky Sports at the U.S. Open. At the core of Sky Sports production are NEP’s Chromium for actual on-course coverage, T5 as an office trailer with commentary, and T4 as an edit trailer and Telegenic’s T-Wiz remote-production unit. The channel also has seven unilateral cameras: two at the Sky Cart for touchscreen analysis and interviews, three at the Open Zone, and two RF cameras. It’s a relatively small team, but Brown praises the job done by the mix of UK and U.S. crew and talent.